Ava has a had a busy time here in Pennsylvania. There have been a lot of people anxious to meet her for the first time. 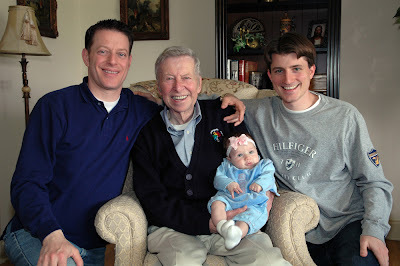 First and foremost was her Grandpa Furr, along with her uncles Jamie and Jordan (Larry's youngest brothers). She also got to meet her great grandpa Furr. In addition to that, Teri and Rusty (Ava's great aunt and uncle) along with their daughter Annie (Larry's cousin) drove down from New Jersey to meet Ava. 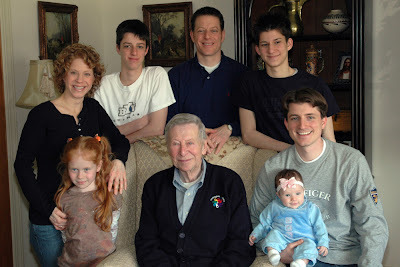 Annie, Great Grandpa Furr, Ava, and Larry (front row). 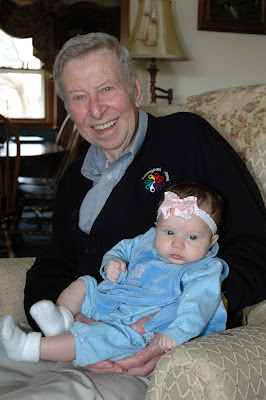 Pictured below: Great Grandpa Furr with his first great grandchild. We also discoverd that our good friends Adam and Amy Greenway were home from Kentucky visiting family too. We were able to get together Sunday evening with them and their three lovely children. 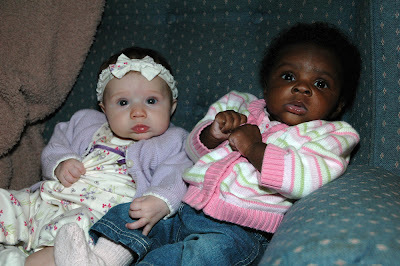 Here is Ava with their adorable three-month old daughter Cecily. In other news, we received some pictures of Elder Danny Furr from his time in the MTC and in his first area. I particularly enjoyed this picture from the MTC. 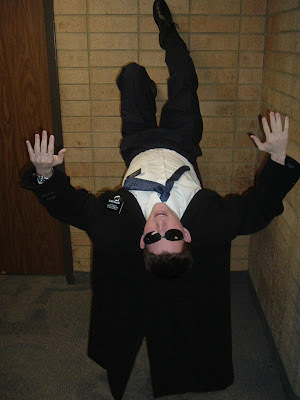 Apparently, Elder Furr has entered the Matrix. 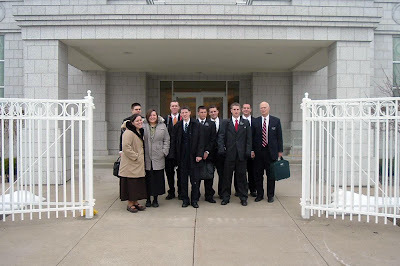 Here he is in front of the LDS temple in Halifax along with his mission president and the other missionaries with whom he arrived in the mission field. I love the Matrix picture for Danny! :) We've enjoyed the pictures of Ava. Keep it up. OMG Danny looks cool haha. wonder how he did that.